This guest post comes to us via Kathy Gallo of Daily Cupo. As a songwriter myself, I’m always trying to stay inspired and come up with unique ideas. That’s what this post is all about. By the way, if you feel you have something to add to the community, check out our guest post guidelines. Music is an odd craft: it is considered a product of pure inspiration despite its basis on steady rhythms and structures. Here are some ways to navigate the balance between artistry and objective math that constitute a complete musical composition. The notion that complete songs are delivered in random bursts of inspiration is a persistent misconception. While it is common for songwriters to get brilliant ideas out of the blue, the mundane truth is that songwriting is a skill that needs to be practiced. If you force yourself to sit down and write every day, you will be ready to work on good ideas as they occur. You don’t want to be struck by inspiration and not know where to go with the idea. Daily practice can take many forms. You could go back and edit old songs or play around with phrasing on a single line. You could simply make lists and write about your day. The goal is to make you familiar with your own way of expressing ideas. Listen to as much music as possible. Some songwriters like to completely eliminate outside influences during their own creative periods, but it can be helpful to get a feel for how other composers work their craft. Without realizing it, you’ll grow to understand the language and structure of music. You will pick up tricks for making songs sound new and different within familiar framework. This is perhaps the most daunting suggestion for expanding your songwriting horizons. It may also seem boring and unnecessary. However, the best way to write music that breaks the rules is to first become fluent with the rules. Familiarizing yourself with classical music will also help you create more lush, full soundscapes and move you to incorporate different instruments. Songs don’t always have to follow the same progression. Most of the songs on popular radio stations feature two verses with choruses after each iteration of the verse. There may be a bridge or an instrumental break after the second chorus, after which the chorus comes back one last time. This structure is common for a reason; something about it just works. That doesn’t mean that you can’t write a different kind of song that still resonates with listeners. The previous recommendation to study classical music will come in handy here, as classical music will expose you to new ways of arranging your music. Challenge yourself to compose a song with a long coda or a progressive structure that constantly shifts without repeating. If you write all of your music on guitar, consider writing your next song on piano. This will force your outside of your comfort zone. You’re used to hearing the same sounds and chord progressions on your usual instruments of choice, and it’s likely that you’ll be inspired just from experimenting in this way. Different instruments lend themselves to different types of chords and musical motifs. Go with the grain at first and let the instrument take the lead until you get more familiar with it. Don’t be afraid to explore ideas and accidents that seem simple or undeveloped. If you find it helpful, develop a ritual around your daily songwriting. Begin by brewing Nespresso coffee or making a nice cup of tea. Do whatever you need to do to get into the right headspace for creativity. Sometimes it takes a while to let go of all of the stress and events of the day; there is nothing wrong with sitting quietly for a while and forcing yourself to clear your mind before you get down to the work of composing. One of the most common early hurdles for songwriters is accepting that composing isn’t as exciting as your favorite musicians make it seem. There will be times when your process involves little more than sitting and thinking. You will spend a lot of time working out small sections of music in your head; you probably won’t be churning out fully realized catchy compositions on a daily basis. Be honest with yourself: you probably won’t become a famous rock star. At most, you can hope to write songs that you are proud of. 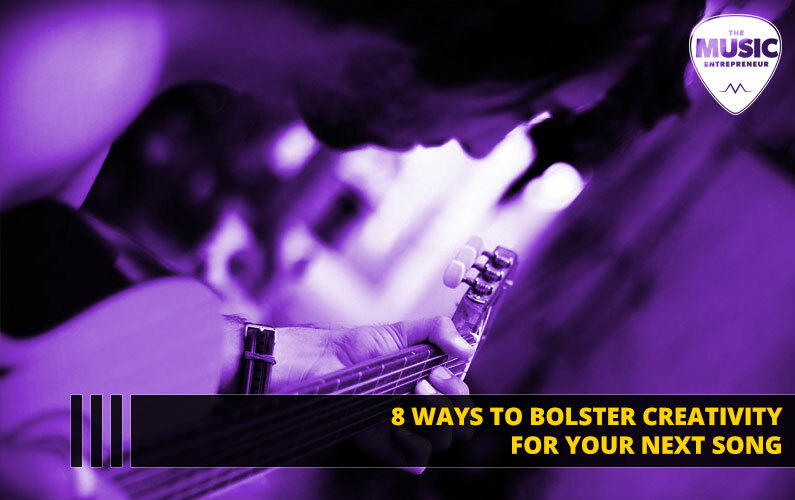 Don’t fall into the trap of trying to write songs that align with what you hear on the radio. Write what makes you happy. There’s no point in trying to appease an audience you may never have when you can express your own weird, wonderful ideas. If you ever do cultivate an audience, it will be because you followed your muse instead of attempting to follow trends set by other people. Write silly songs that make you laugh or imaginary soundtracks to your favorite books or films. No one has to like them except for you. Don’t be intimidated by peers who are more experienced than you. Use them to push the boundaries of your own talents. Sometimes the best ideas come into being when another musician throws you off of your game a little. There’s also value in playing along with other people’s recordings. Everyone has their own favorite patterns, so try borrowing someone else’s for a while and see if they work for you. With all of this in mind, don’t lose track of the fact that music is supposed to enrich your life, not stress you out. Your creative process should not feel like work, though you should take it seriously. Kathy Gallo is the founder of Daily Cupo. She is a health buff and believes that perfect health comes from drinking right, and aspires to provide an invaluable guide to health drinks.